A table saw isn’t a tool you think of when it comes to cutting a workpiece into a circle. 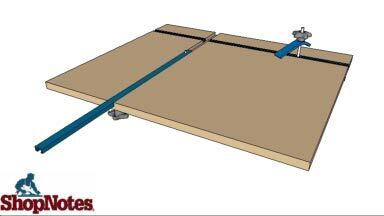 But with a shop-built jig, cutting a circle up to 40" in diameter is quick, easy, and accurate. And it results in a surprisingly smooth, even edge.